Your Family Name History will be printed on the back of your shield. Proudly showcase your unique family heritage with a full color Coat of Arms shield. There is no more powerful combination of ancient symbols than those that belong to your heritage. Now, we have brought them all together in our stunning Shield Collections. 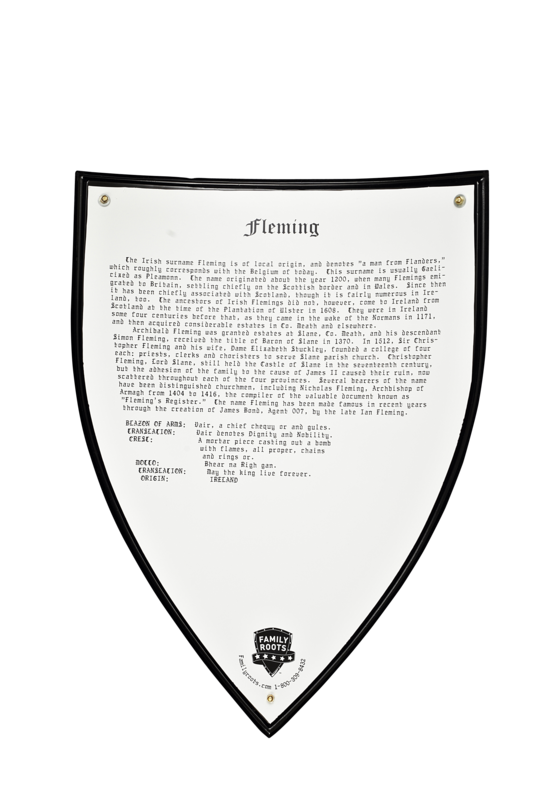 Your shield will grab the center of attention wherever it is displayed in your home or your office, stopping family, friends and colleagues in their tracks and prompting plenty of conversation. By linking family and country in such a commanding way it tells the story of your roots with one memorable punch. Isn’t it time your family roots made an impact?